Last week the kids enjoyed learning how to make a basic tear drop shape and turn it into a fish. 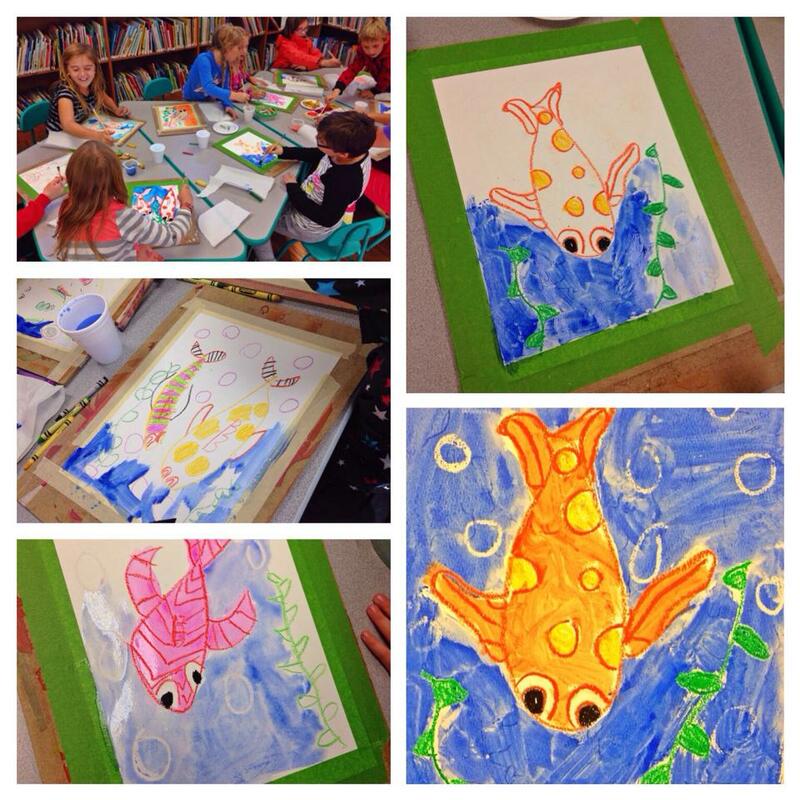 The fish were drawn in pastel / crayon and then the background filled in with watercolor paints. It was a blast. For a full tutorial please click here.